It may not be known for its bungy jumping but if you’re thinking of a holiday to Italy that involves some outdoor activity, why not try hiking, swimming, horse riding, cycling or a range of extreme sports? If your holiday to Italy is on the cheap and you fancy communing with nature, then head to scenic Lake Garda Trentino in Veneto. This picturesque region has lots of great walks ranging from 30 minute strolls to 7 hour mountainous treks. Most of the walks are on average two hours long and many take in archaeological sites, medieval villages and castle ruins. The official Garda Trentino website has detailed information on each of the walks and fitness level needed. It also provides information on upcoming events in the region. Italy has loads of beautiful beaches, and because it’s in the Mediterranean it’s extremely non-tidal. No waiting five hours for the tide to come in and no huge waves either which makes it great for practising your backstroke or snorkeling and also safe for kids. • Lido di Ostia, Rome: Close vicinity to Rome, free use, popular with tourists, can be busy. 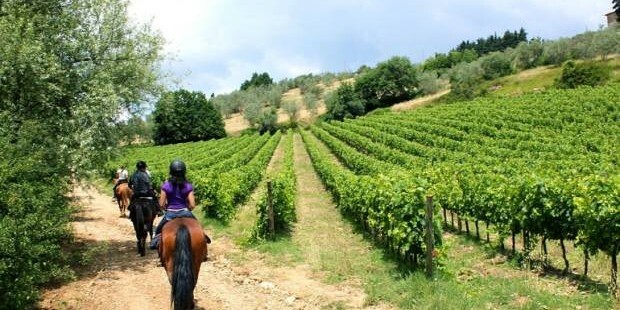 What better way to explore the Tuscan countryside than a horse ride in Chianti? This is a perfect choice for groups or those looking for family outdoor activities. 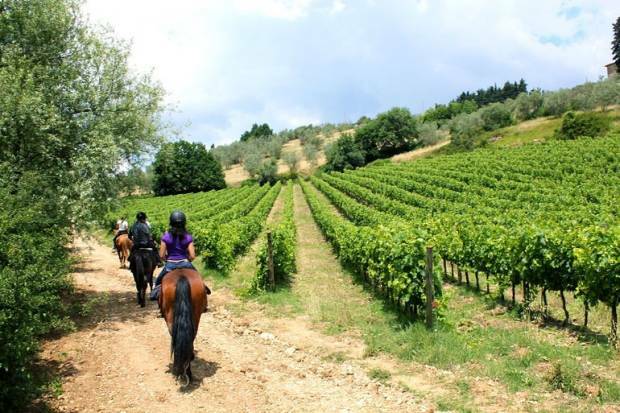 A typical day trip normally takes around 6 hours and includes a half hour lesson, a two hour ride through vineyards, olive groves and medieval villages, then lunch at a Tuscan farmhouse followed by wine tasting. Lucca is a walled city and a great way to see it is by renting a bike and riding around the ramparts. The walls were built between 400 and 500 years ago as a defense against intruders but are now more like tree-lined gardens. It doesn’t take long to do a circuit and afterwards you can ride down into the township and explore the alleyways. Everyone rides bikes in Lucca as cars are no longer allowed inside the encircled part of the town. 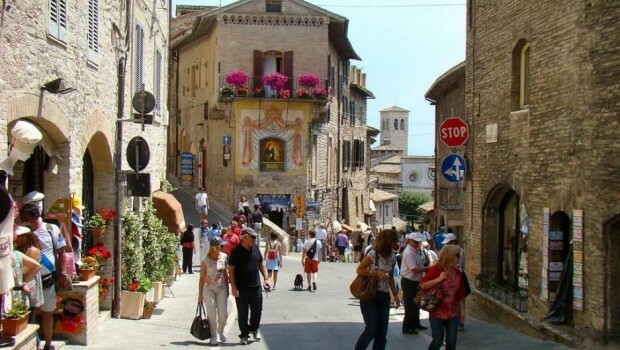 Don’t forget to stop for a gelato along the way and visit the main piazza which has specialty shops. Bikes can be rented at some hotels or several bicycle rental locations can be found near the North entrance to the city, Porta Santa Maria, near Porta San Pietro and walking from Porta Elisa towards the center. 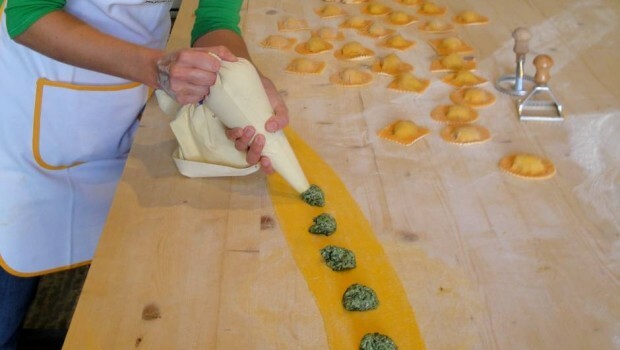 If skiing or snowboarding sounds right up your alley for a holiday to Italy then check out Adventure Sports Holidays for the most popular outdoor activity centres. They also offer information on other extreme sports you can do in various regions such as rock-climbing, kite surfing, whitewater rafting and wind-surfing.